The first time I encountered Paule (silent ‘e’) Marshall, I was an undergraduate—a first-generation college student—at the University of Chicago. I was majoring in sociology and trying to figure out my place in the world of ideas. I vividly remember the frisson of excitement I felt when I pulled one of Marshall’s books off the shelf at the Seminary Co-Op Bookstore. My selection was The Chosen Place, The Timeless People, and it profoundly shaped my emerging scholarly life. As I was learning Chicago School ethnographic methods in my sociology courses, Marshall’s novel—read in two sittings in a sun-drenched dorm room—taught me about ethics, relations with “others” in the field, and the perils of doing research outside one’s comfort zone. 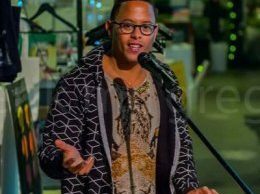 It also instilled in me an appreciation for the vibrant body of literature by Afro-Caribbean women writers such as Jamaica Kincaid and Edwidge Danticat. 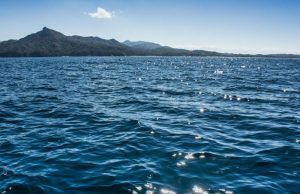 First published in 1969, Marshall’s book narrates the emotional and political ripples caused on a small, unnamed Caribbean island when a team of American anthropologists arrive, via “small, two-engine plane,” to study the people there. Focused on the sugarcane community of Bournehills, the scientists have come to conduct research in the service of progressive social change. Marshall depicts the visitors as types, both generously and critically drawn. The team leader is Saul Amron, who has already lost one wife to the hazards of fieldwork (she died in childbirth). 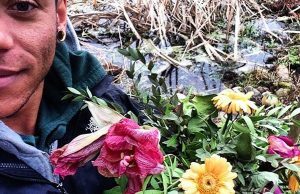 His second wife, the waspish Harriet, whose family foundation is funding the venture, and Allen, a possibly gay, somewhat detached anthropologist with “the thick, stocky, aggressive body of certain soccer players,” accompany him. Saul clearly symbolizes the liberal research enterprise, for example patronizingly instructing Harriet before they depart the U.S.: “Don’t interfere. Because it could really foul up everything. And neither of us, I know, wants anything to go wrong with this project. It means too much—not only to me and the Center, but, most important, to the people of Bournehills.” Harriet, who uses her money to manipulate the other characters, embodies white privilege and “first world” capitalism. The island’s topography is fully realized by Marshall. We first see the landscape from the air, as Vere, a son of the island returning home, gazes out the plane’s small window at the “gently undulating plains” and “valley of hills,” with a ridge “winding down from the northern tip of the island like the deformed spinal column of some huge fossil buried there.” Across the vast expanse of sea lies “the colossus of Africa,” firmly situating the novel in and among literature of the diaspora. Like “the chosen place,” Bournehills’ “timeless people” are beautifully rendered here, whether heroines or villains, as is the exquisite and painful choreography of their class relations, centered on the sugarcane industry. The novel’s moral center, though, and the character in whom historic imperialism is most vividly realized and ultimately resisted, is Merle Kinbona. A chronic talker whose largiloquence masks deeper trauma, the lively but damaged Merle personifies the destructive impact of the anthropologists on the island. I recently had occasion to reread The Chosen Place (my original faded and dog-eared copy), when I assigned it to my Social Justice and Human Rights graduate students in a required research methods class. Their assignment was to read the novel and prepare a critical review, which they did in groups and presented orally. Students enjoyed the book, once they made peace with some of the 1960s depictions of race and gender. Indeed, my twenty-first century students evidenced great insights about a book written on the eve of the 1970s, almost two decades before most of them were born. They offered cogent analyses of racial and gender dynamics, moral aspects of social science research, and the pervasive “othering” of Caribbean people. They clearly engaged with the book—for them, a historical artifact—using the postcolonial tools with which many of them have grown up. What most surprised me, however, upon encountering the book again after almost two decades, was how utterly relevant The Chosen Place is to our contemporary times. The issue of “race relations,” with which Saul is intimately involved stateside and which is animated by the research trip to Bournehills, is not only still with us, but has morphed in increasingly disturbing ways. In contrast to our ostensibly “post-racial” era, to borrow President Obama’s words, we have instead imploded in neo-racist discourses and practices. One need only view coverage of the Troy Davis execution or pay a smidgeon of attention to reproductive politics or listen to any one of the Republican debates to realize that here in the United States, we are anything but united. And the fractals of racial politics radiate in multiple directions, no longer simply the “black and white” relations of the mid-century, but now encompassing categories and identities of all kinds. The Chosen Place is also both descriptive and prognostic of the widespread impact of globalization. In Bournehills, people suffer within a pernicious class dynamic based on the organization of sugarcane production and export. These local agro-industrial relations, in which peasants labor in fields and factories and wealthy native sons thrive as middlemen, are shaped by the broader macro relationship between the U.S., as both hub and consumer, and the Caribbean as “natural” resource. For Marshall, these relationships are intimately woven into the history of slavery: “The first time Saul entered the factory—a low sprawling building in serious disrepair, with a torn, rusted galvanized roof and a smokestack rising above it like a great phallus—he was reminded of the deep hold of a ship.” And when Saul attempts to help in the sugarcane fields, he ultimate must flee from the grueling, dangerous work: “[A]s Saul, his eyes inflamed by the fallen sun, glanced up ahead to the portion of the sloping field which had yet to be done, it struck him that the canes, while giving the impression of retreating, had all the time been swiftly regrouping, replenishing their ranks, so that there were now as many of them as when the cutting began.” The sugarcane, like the island writ large, defeats him. In its depiction of the insidious nature of development, The Chosen Place also feels relevant to the here and now. Just as with the research team led by Saul, our real world today is peopled with scholars and planners who travel to exotic, troubled lands with the best of intentions, to makeover the people and forge social uplift. Indeed, since Marshall’s novel appeared, we have seen a proliferation of development agencies and NGOs of all kinds, often centered on Africa and the diasporic regions of the globe where brown and black bodies suffer from structural violence and its ill effects. And like the anthropologists given life by Marshall, today’s reformers and crusaders, despite the mantras of participatory development, often adhere to a top-down approach, one characteristic of colonial interventions that boldly state, “we know better than you, and we’re here to help.” The Chosen Place, with its representations of neoliberal-induced child death and mental illness and respiratory illnesses and family violence, can be read as a cautionary tale of righteous Global North efforts to remedy the Global South. Marshall’s other works include Brown Girl, Brownstones, Soul Clap Hands and Sing, Reena and Other Stories, Praisesong for the Widow, Daughters, and The Fisher King. Most familiar, perhaps, is Brown Girl, Brownstones, published in 1959 and featuring Selina Boyce, the daughter of Barbadian immigrant parents navigating adolescence in Brooklyn during the Depression and World War II. This novel, called “unforgettable” by the New York Herald Tribune, is instructively read alongside Betty Smith’s acclaimed A Tree Grows in Brooklyn, published in 1943. Marshall’s story provides an important counter-narrative to Smith’s focus on spirited Irish-American Francie Nolan. In Marshall’s novel as in Smith’s, the stalwart adolescent heroines struggle with poverty, a core narrative thread. But Marshall, the daughter of Barbadian immigrants, takes on race, a topic largely missing from Tree, which was later made into a film directed by Elia Kazan and a Broadway musical. After Brown Girl won a prestigious Guggenheim, Marshall used the funds to travel with her son to Grenada in 1962, having earlier journeyed to her parents’ homeland, Barbados. She writes of this period, “I had learned that politics on the island were synonymous with one man, the long-standing chief minister…a man disdained, even hated, by the white planters and the small black and Creole bourgeoisie in town, while adored by the masses of poor black country folk.” She describes rallies and the Big Drum/Nation dance, sand crabs and lizards, and her young son who “romped and splashed in the surf, built and destroyed any number of sand castles.” It is not difficult to see in these reminiscences of the trips to Barbados and Grenada the seeds of The Chosen Place, The Timeless People as well as Praisesong for the Widow. 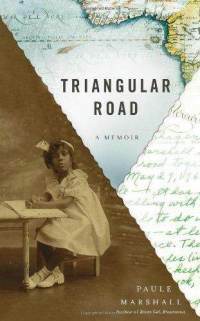 Marshall’s writing, whether The Chosen Place or Triangular Road or one of her other novels, has so much to say about history and the present, “race relations” across space and time, gender and writing and the diaspora, the seething power encased in the deceptively benign, the inexorable trajectory of colonialism, and how people find their place in the world, despite seemingly unbeatable (and unbearable) odds. 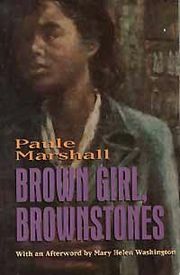 If you, like my students, have read Paule Marshall’s work, then my words will resonate with you. 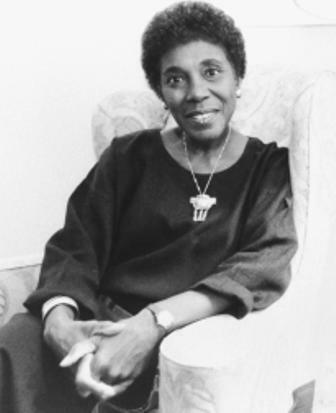 If you have not yet had the privilege to encounter this singularly wonderful American author, chronicler of the African diaspora and twentieth-century belonging, then I encourage you immediately to locate one of her books, curl up with a cup of sweet, hot tea, and dedicate an afternoon to reading. Hi Monica. Thank you so much for writing this. And than you to Feminist Wire for publishing it. The point you made that resonated with me most was that Marshall's 1969 novel, "The Chosen Place, the Timeless People" was a cautionary tale of the Global North trying to dominate the Global South. I think that is a theme throughout all of Marshall's novels that is terribly relevant today: mainly the Global U.S. trying to dominate the world, and failing at it as we've seen in Egypt and in the occupy wall street movement in this country. In all her novels are characters struggling to be free from the grip of Western materialism. Her novels teach me that we have to play a role, like Merle did, in making Western imperialism less oppressive to peoples around the world. We have to do the work that Ursa Mackenzie in Marshall's fourth novel Daughters, where we inform the masses the way Wikileaks does. -RF. 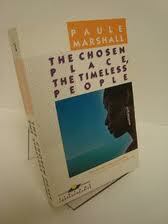 The Chosen Place, The Timeless People by Paule Marshall will forever be relevant as a timeless novel requiring its readers to embark on a journey of introspection.